To the West of Singapore lies Radin Mas. In the early years it was called Kampong (village) Radin Mas, a small Malay village situated on the foothills of Mount Faber, in Telok Blangah. As Singapore grew, so did Radin Mas, and the Kampong was turned into yet another high rise suburb of the city-state. Interventions in the form of the Ethnic Integration Policy introduced in 1989 to address the issue of ethnic enclaves in Housing and Development Board (HDB) estates, made sure that your neighbor would always be of a different race and religion to you. By 2015, electoral needs turned it into one major constituency consisting of five suburbs and 28,906 voters. A Pew Research Survey in 2014 declared Singapore to be the most religiously diverse place on earth with 10 officially recognized religions living side by side in every street and neighborhood. Government intervention in schooling, housing and work have over the years ensured that people of all religions and ethnicities mix with each other, live side by side and have equal access to state resources. Things were going on fine until December of 2001 when the government uncovered a terrorist plot by a home-grown terror outfit calling themselves Jemaah Islamiyah three months after the 9/11 attacks in the US- the cracks in their carefully crafted ethnic policy were beginning to show. The government in a bid to introduce a program that would mobilize the community in a time of crisis and to help further improve inter-community ties introduced the concept of Inter-Religious Confidence Circles (IRCC) in 2002. An IRCC would be formed in every constituency and grassroots leaders would work with religious leaders and groups to bring them together to deal with ethnic issues on the ground. More importantly, they were to help different religious communities learn about each other resolve any misunderstandings. Their role would also be to ‘calm the ground’ ethnic tensions flared up in the event of a terrorist attack or any other ethnic attack and assist in the recovery process to help communities return to normalcy. 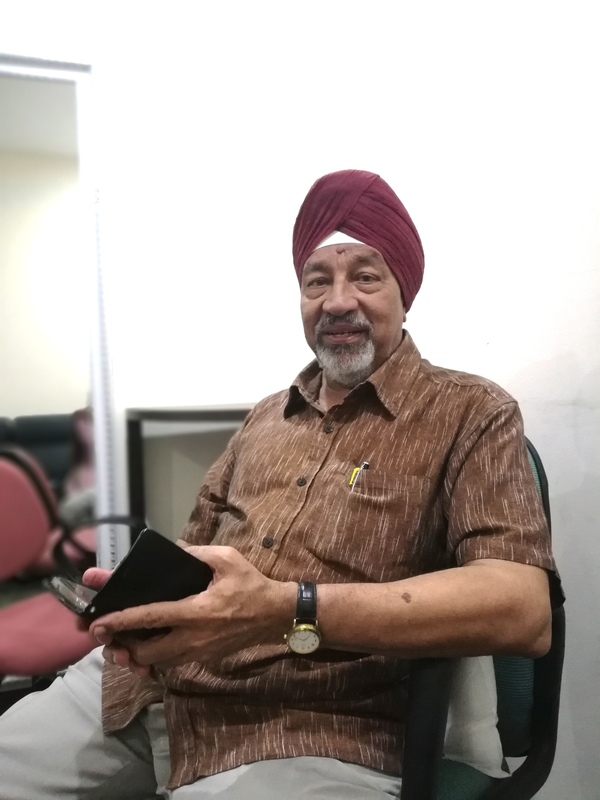 Radin Mas, IRCC chairman, Sarjit Singh, came to Singapore when he was four years old. His father, like many Sikhs at the time, worked in the Police and moved his young family from Malaysia to Singapore for better prospects. Though a Sikh, he studied at a Christian Brothers School in Radin Mas and grew up as part of the generation which would experience Singapore changing from a Third World country to a First World City State. He was also part of the generation which experienced ethnic riots in the 1964, where 22 people were killed as a result of a clash between the Chinese and Malays. “I remember what the clashes were like as a boy. We should do our best to not have a repeat of that”, said Singh. “We are all quite connected, all the religious leaders in the area are here. If there is any issue, we can contact each other immediately and resolve it before it blows up”, he said. An IRCC like Radin Mas does not have to deal with terror plots on a frequent basis but their role has become important when it comes to diffusing everyday ethnic tensions. In the highly urbanized and dense neighborhoods, the possibility of a small annoyance turning into a major issue is high. “We talk to them and ask them why they are opposed to it? and they say oh no we don’t like the smell. Then we explain its cultural significance and try to find a solution both parties can accept”, Singh said. Members to the IRCCs are chosen by the government and the MP of the area. The organization operates through a top-down approach as the government funds and helps run these groups. The members believe that if the government does not intervene in promoting ethnic harmony, the job cannot be done successfully. “I look at myself as a true blue Singaporean first. Being Indian is my ethnicity and of course my religion is Islam”, he said. Ali also believes that a government needs to be proactive rather than reactive when it comes to race relations. “It is the duty of the government to make sure there is stability in the country. So this is not interference but intervention; interference has negative connotations. The government won’t interfere with your religious beliefs, culture and your way of life. But a responsible government must take proactive steps rather than reactive or remedial measures,” he felt. Close to 80 percent of all Singaporeans live in high rise Housing Development Board or HDB flats. This a public housing program where you are able to get a house through a lottery scheme. But it is not free and the owners are bound to pay for it over a period of 30 years or more. Further, every housing estate needs to maintain a certain ethnic quota to ensure that no one community dominates. In addition, strict laws such as the Religious Harmony Act, Sedition Act and broadcasting rules ensure that anyone who tries to stir up tension against another ethnic group will be strictly dealt with under the law. As people moved into high risers, the government created the People’s Association (PA), a statutory board which would oversee neighborhood grassroots communities and social organizations. It helped bring neighbor together for various activities to promote social cohesion and multiracialism. Though the PA worked on racial harmony, religious institutions remained in silos. After 9/11, the government felt that religions should not operate in isolation and there needed to be a common understanding about each religious group and people, so they started to encourage a culture where people would visit each other’s worship institutions, Ali said. “This was unheard of before. The religious groups were happy to share their customs and more importantly their sensitivities. People needed to understand the ‘dos’ and ‘don’ts’ so they would not unwittingly offend any person of another faith,” Ali explained. There are 89 IRCC groups today and each of them with links with religious leaders in the area. Ali believes that these have helped bring the religious communities together and move on from tolerance to acceptance. “Tolerance has slightly negative connotations, tolerance does not remove ignorance- awareness does”, he explained. The IRCC groups also have helped Singaporeans build a culture of ‘curiosity of the other’, Ali pointed out. 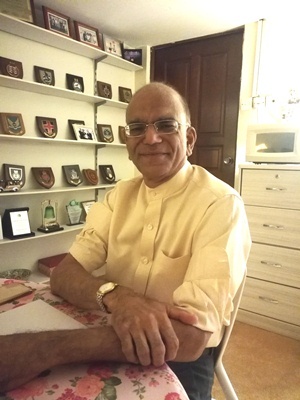 Joseph Silverayan (78), a member of the Radin Mas IRCC representing the Catholics from St Theresa Church, has firsthand experienced the benefits of this culture change. “I am now more open and condone other religious practices. If not for IRCC I would detest practices like burning of paper, which sometimes happens at the flat below, pollution, ash, but now I am more tolerant. If I were to go down somewhere, and there is a Hindu temple organizing a wedding, the sounds of drums can irritate, but now I am more tolerant and come back later. You make adjustments in your life once you are more aware,” he said. “IRCC has got its latent benefits. Earlier, I would not tread into a Hindu temple, this was how I was brought up, don’t go there, don’t go near burning paper, there are bad spirits I was told. I did not have that exposure before. So you become very intolerant. Look at the mosque, and temple, you have to remove your shoes, I do not want to dirty my feet, but now we hold meetings inside temples. IRCC taught me this,” he added. 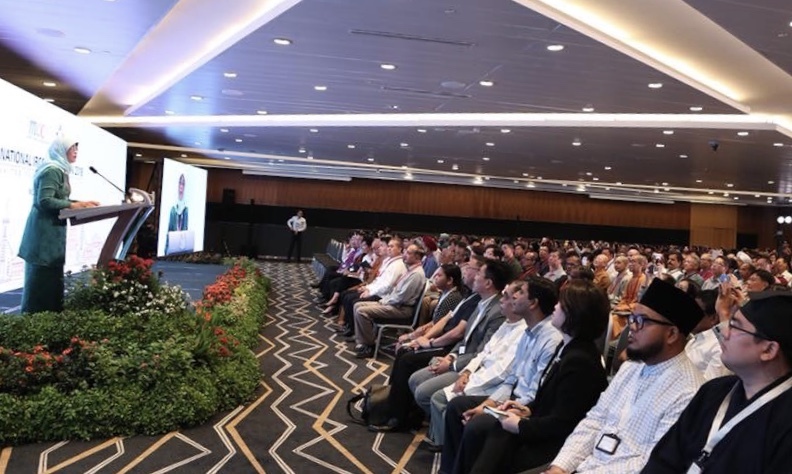 When asked about the ‘culture of curiosity’ among Singaporeans, he said that given the fast-paced urban lifestyle of many, they not only showed little interest in other’s religion but also their own. “Even if we put up posters, hire a bus and appeal to people to go see a new church, the attendance is paltry. So I can’t say that just because we are visiting a Hindu temple, the response is less, it is the same for all. People have their own likes and dislikes – and priorities. I go on that basis, rather than aversion. They are not averse to a group of people visiting a temple, ” Silvarayan said. However, with at least a few people like Silverayan being aware of other communities come into use when there are tensions on the ground. “If you have a problem with your neighbor, people will not run to the religious leaders. The first person they approach is people like us and we can respond because I am an IRCC member. This approach here is more immediate. If 10 people come to know, there will be 10 interpretations, saying this temple has offended the church. We don’t allow this to become a big issue”. Since the establishment of the IRCCm government has rolled out several awareness and training programs to educate IRCC members on topics such as ‘crisis management strategies’, ‘the current security climate’ and ‘combating the misuse of charities for terrorist financing’. They also conduct, simultaneously, courses on how the IRCCs should act in times of a terrorist attack or a religious riot. Further they also encourage religious organizations such as the Roman Catholic Archdiocese to come up with its own ‘crisis plans’ which would highlight what their own plan of action in times of crisis would be. At a ‘Counter-Terrorism’ Seminar held in February 2017, the Ministry of Culture, Community and Youth. which manages IRCCs, the Ministry’s Deputy Secretary, Hugh Lim, asked: “Firstly, when a terrorist attack occurs, how will our religious organizations respond? What will happen at a place of worship if it is attacked? Secondly, what role will other religious organizations play –how can they step forward to give leadership, to help, and to demonstrate resolve and unity in a time of crisis? Thirdly, before a terrorist attack occurs, what do religious organizations need to do, both as individuals organizations, and more importantly, as part of a larger community, to prepare themselves to deter and safeguard against terrorism; to say unambiguously that we reject terrorism and we stand united with fellow Singaporeans to guard against it?”. Though the emphasis and interest in the government to set up IRCCs have mainly been driven by a necessity to deal with increasing religious extremism around the world, the government, according to Lim, has also come to realize that, preparing for a crisis response must go hand in hand with a person being an active member of the community in peacetime – recognizing that every individual in it together. “This means that we understand one another better, we build friendship and trust across races and religions through cooperation and mutual support on everyday issues,” Lim said. Will it work without the government? Despite the community engagement and ‘Harmony Days’ to share each other’s cultures, Singh believed that the IRCC would not work if the government did not take a leading role in it. “You need somebody to lead. I can stand up and say come together but people will ask who are you? Why are you doing this? Who do you belong to? Are you trying to convert us? Are you trying to start a cult?” Singh pointed out. Further, the strong push of the government to get people to mix out of their own communities is also needed as societies develop ‘enclave mentalities’ . “It is human nature for people to mix with their own kind, who they are comfortable with”, admitted Singh. With the government taking a neutral stance towards all religions, Singh explained that government allows them to openly discuss any misunderstandings or worries they may have about each other. The biggest challenge all IRCC members say is getting the youth to participate. The success of the IRCC depends on how active the local IRCC is. 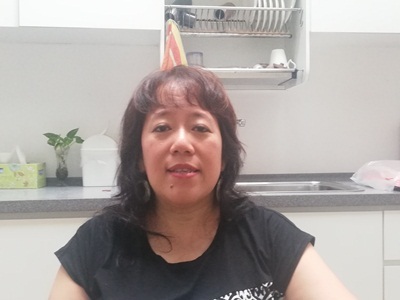 In Radin Mas IRCC, member Susie Wong (57), a Bahai, lamented that the youth in Singapore are less interested in engaging in religion, even though there has been a general increase in religiosity overall. Being a Bahai, she is a minority within a minority, with just 2000 members in her community. Whilst the IRCC has helped make more people aware of her faith, her IRCC in general is having issues in finding more members and youth to replace them. 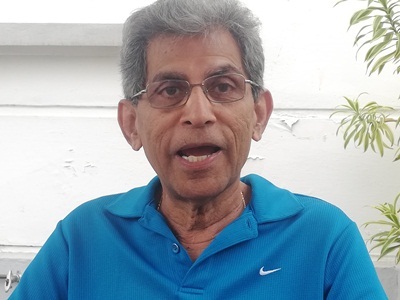 Her Chairman Singh said they have tried many ways to get the youth hooked on to social media to meet IRCC members, but have had little success. Most members are over 50. Everyone has been asked to nominate a young person from his or her own community to join the group. But few youth attend meetings. According to Silverayan, the practicalities of modern life make it very difficult to expect a young person who is starting a family and progressing in his/her career to divert time for community work. 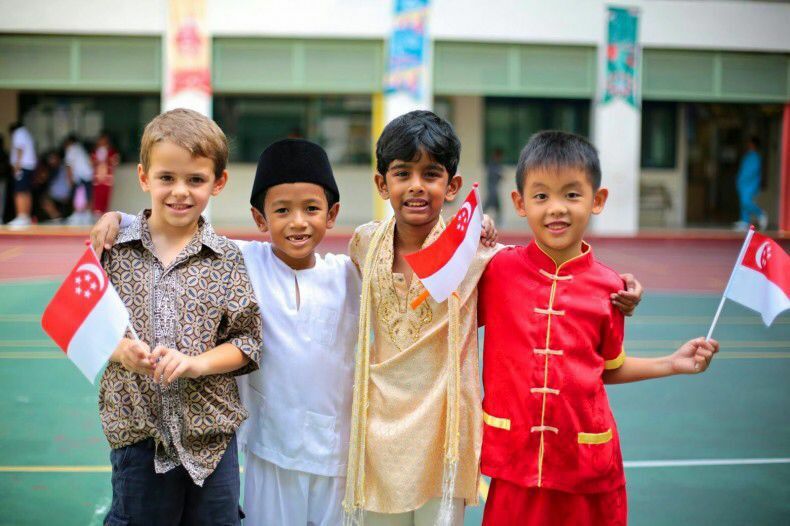 But cultivating the next generation- a generation which has not seen large scale ethnic riots, would be the key to ensuring that Singapore’s formula continues to work in the coming decades.